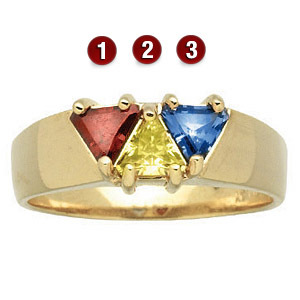 The 14kt white gold Forever Yours mother's ring features three 4x4x4mm trillion cut simulated gemstones. Prong-set. Made in the USA.